Laughter, family, friends and home-baked goods. Does a human being really need anything more to live a joyful life? Last October, my dear friend’s mother – my most favorite cookie baker of all time – left this world far too soon. When she died, we lost so much. We lost her vibrant personality, quick wit, bottomless generosity, staunch feminism, and her annual boxes of cookies and so, so much more. But we also gained so much from the time that she was alive. And one of the greatest gifts she gave us all was the memories we have created when gathered around any dining table eating her cookies and sharing each other’s lives. We ate them at the annual summer gathering, each Hannukah, at Yom Kippur break fast, the Jewish New Year, our babies’ namings, every child’s birthday party and the list goes on. Whenever she attended a gathering and asked what she could bring, the answer from all of us was always the same – COOKIES! There are great stories around these cookies – the stuff great cookie lore is made of. Hermine was raised in the Jewish faith but loved the baking traditions and cookie exchanges at Christmas time. Each year she baked dozens and dozens of cookies around the holidays — so many that she could freeze dozens and still make up boxes of cookies to give to close friends and relatives. But in her household, friends were plentiful and friends were family too. So the cookie box list was long. Getting on that list was almost like getting into a private club — great when you’re on the inside but lonely on the outside. Despite our long relationship, we always seemed to be eating out of other people’s boxes at their homes and gatherings. So after both of our kids were born and they were still small and adorable, my husband could take this feeling of exclusion no longer. He devised an underhanded scheme and sent our fabulously cute children over to “grandma” Hermine and had them ask how we could get on the cookie list. Hermine was a sucker for cute kids and especially ones that called her grandma Hermine so the devious and totally manipulative plan worked. Mumbling something like “extortion” under her breath, she said we were in! A Gold Medal at the Cookie Olympics! But there’s more — now that we were on the list, we needed to prove our worthiness. So we baked. And not just a simple cookie. No, we perfected a rugelach – a wonderful cream cheese butter dough rolled into crescent-like forms filled with nuts and chocolate. Not an easy baked good to master. 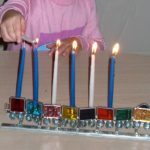 When we felt that it was good enough, we summoned up our courage and brought it to the annual Hannukah gathering so Hermine could taste it and compare it to hers. As the sweat beaded up on our brows and we could just see our names being erased from the coveted cookie list, the cookie queen made her ruling known — we were in fact worthy to remain as she admitted our rugelach not only equalled hers but perhaps surpassed it! This pronouncement was like getting a gold medal at the Cookie Olympics! After Hermine’s death last year, our group of friends decided her cookie baking must live on. 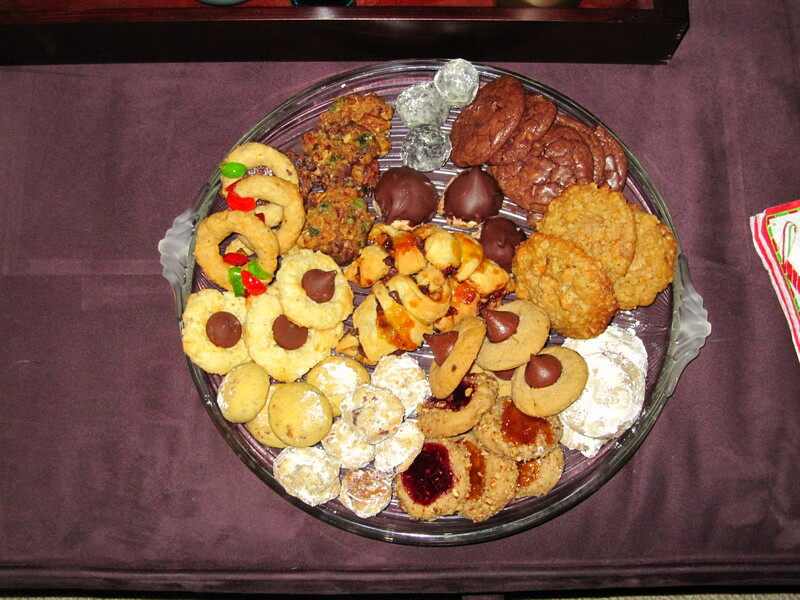 We each took a couple of her recipes and baked the wonderful gems, starting a tradition we called the First Annual Hermine Memorial Cookie Exchange. We brought our rugelach recipe and were so proud for it to be part of the first annual cookie exchange. We ate lots of cookies, drank champagne, laughed, talked, danced with Hermine’s grandkids, sang songs around the piano and remembered all evening that sharing food creates the most wonderful memories and keeps memories alive. 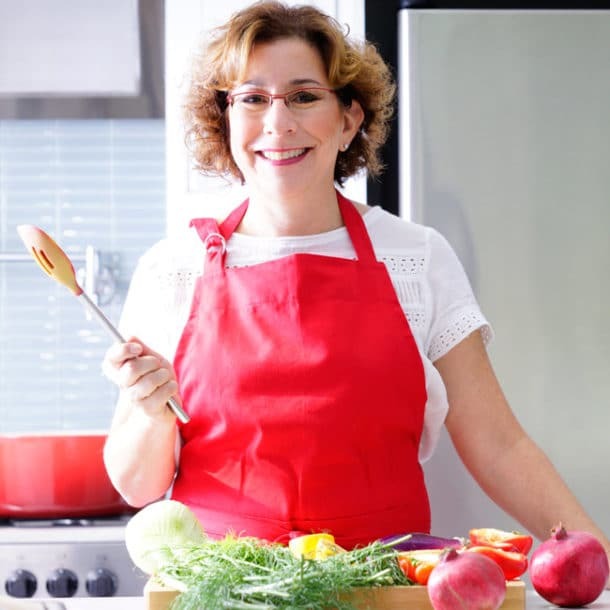 Over the next few weeks I will be baking dozens of two of her wonderful cookie recipes and our whole family will be making our rugelach in large quantity so we can freeze some for our daughter’s Bat Mitzvah in February. 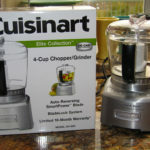 Look for more posts this month with some of her wonderful cookie recipes and lots of photos too. And please leave a comment below to share one of your favorite cookie-baking memories or special recipe of your own. OMG! It’s Already Hannukah, Chanukah, Hanukkah, Channukah! 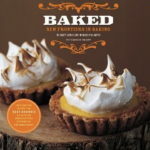 Update on The Fearless Baker Cookbook Giveaway – One Copy will be Signed! This is such a beautiful and heart-warming story in every way. I love how food brings people together and how Hermine lives on through her beloved recipes. Thanks Dana! I adore your story about how you ended up with your rugelach recipe. Those moments are the best. We meet yearly to recreate her cookie box and it is always a sweet and bittersweet event. Always worth the effort. Thanks for sharing this. I too have great memories of Hermine. We were girls together – going to SJSU, sharing “secrets” and how to light a cigarette to cool off some passion!! We had known one another for over 50 years and when I came from Nevada to visit, it was always like “coming home”. I miss that and her. Beverly – so great to be in touch. We all miss her very much but it’s great to keep her memories alive together! A beautiful story! A beautiful woman. I remember new flowers in the entryway every week. Yes – there is much to miss about Hermine but I love that we each have a unique memory to share!I am so excited to have you as a reader and commenter Phil! I really enjoyed your post about Hermine. I am a friend of Sharon, and I was really fond of Hermine. Tonight I baked the Heavenly Holiday Chews and froze them for Rubie’s Bar Mitsvah. I thought of her the whole time I was baking, and hoped she was up there somewhere looking watching. I had to laugh about your rugelah. I never had baking anxiety until I was making these cookies. I just knew they were too big, too dry, too round, too flat—but my daughter says they are good–so Hermine must have given me a boost! Hope to meet you when I come to SF! I love this story. I too remember people by the meals we shared or the recipes we exchanged. 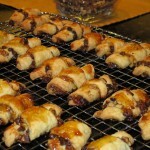 Do you plan to share the rugelach recipe? 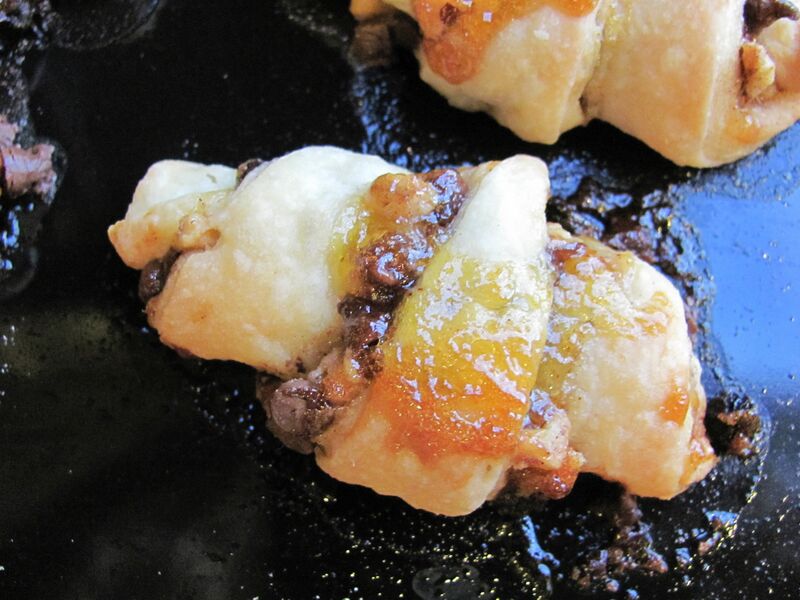 I will be sharing the rugelach recipe soon but will email it to you in the meantime. I always love your stories in your blog Irene. Keep em coming. Beth this is beautiful. 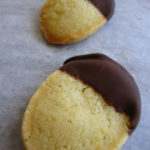 I was about 10 the first time I tasted Hermine’s cookies and I remember how wonderful they were. I miss her big hugs and her, “How are you Honey” She left a piece of her in all our hearts. She would love this tribute and the fact that some many can enjoy the cookies still today. I’m reinforcing my baking supplies to begin the cookie production soon! Although writing this post made me cry several times, it also made me happy to think of her and I love that it’s bringing us all together virtually. Looking forward to seeing you in person soon! I saw this in a #cookieweek search on Twitter. What a wonderful tribute and I simply love the memorial cookie exchange idea. Have a wonderful holiday season!! Thanks Christy. She was a wonderful woman. Her legacy will live on through her cookies and so much more. This group of friends will all be doing a lot of baking over the next few weeks – it helps us remember her and makes us feel like we’re together even when physically, we are not. Keep on baking! What a nice nice post Beth. I’ve been gone too long to have been a recent cookie recipient, but your post made me think so much of Hermine and how her warmth and generosity live on in Sharon and in all who were lucky enough to know her. Made me feel happy and sad at the same time. your rugalach would make her very proud of you. Cant wait to eat some. I don’t remember Grandma’s rugelach and boy do I wish you knew how to make them or had the recipe. Luckily, our rugelach really are awesome don’t you think? Wish I could turn back the clock and get all of Grandma’s recipes! I Wish I could turn back clock too,and written down her recipes. Not only for her baking of cakes and cookies but also her onion rolls and breads. I remember that everyone who ate her goodies begged her to open a bakery but she turned us down. What a beautiful comment, Richard – maybe you want to write a guest post for me 🙂 I think Hermine would be proud but let’s leave the final determination for when the first batch comes out of the oven. But seriously, we all miss her so much but I believe it really helps to write about it, talk about it, and do things that remind us of her. At least for me, it makes it better, not more painful. She lives on through us, I think. What a fantastic post and tribute to a wonderful woman. What a great way to live on forever as new generations learn to bake as she did. Looking forward to getting together to bake and ideally sharing cookie recipes. Sharing recipes and baking. Can’t think of much I’d rather do except eat the results. And it really does feel like she lives on in the stories, recipes, and cookies that we share.